From the general trend, due to the success of artificial synthesis of large crystals of muscovite, the demand for large Muscovite Mica in the world will gradually decrease, so the exploitation of natural large muscovite will decrease year by year. However, the demand for debris muscovite will continue to increase. The existing high-quality muscovite in the world is still far from meeting the needs, and the development of Synthetic Mica is accelerating. The current consumption structure of muscovite has changed. It is estimated that the demand for mica in the world will continue to decline at a rate of 4.6% per year, while the demand for broken mica will continue to grow at an average rate of 1.5% per year. Muscovite comprehensive utilization products----mica paper and wet-milled Mica Powder and mica deep-processing products are all relatively popular products on the international market. The demand for the tube feeding mica is balanced, and the capacitor chip and the outer thick mica are basically saturated. Natural flaky mica is generally replaced by alternative materials. 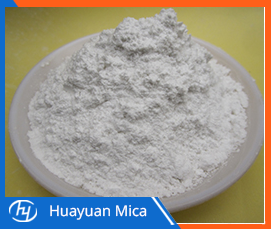 However, as a comprehensive utilization product of Muscovite Mica Powder, mica paper and mica powder as well as deep-processed products such as mica insulation products and mica paper appliances have begun to sell well. Previous: Wish My Friends A Happy Songkran Festival! Next: How To Choose A High Quality Himalayan Salt Lamp?